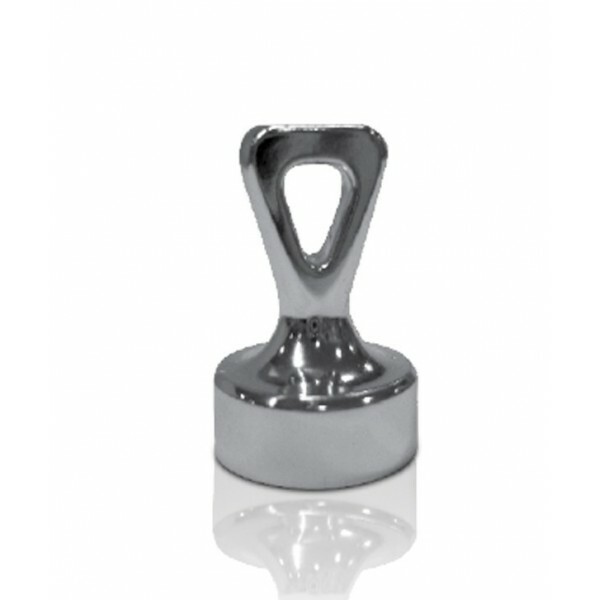 These powerful neodymium tenpin magnets can be used on a receptive board to either hold up papers or mark specific points or targets, and because of their shape, you can even attach string to join the points for showing patterns and trends. 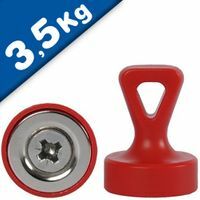 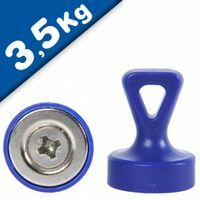 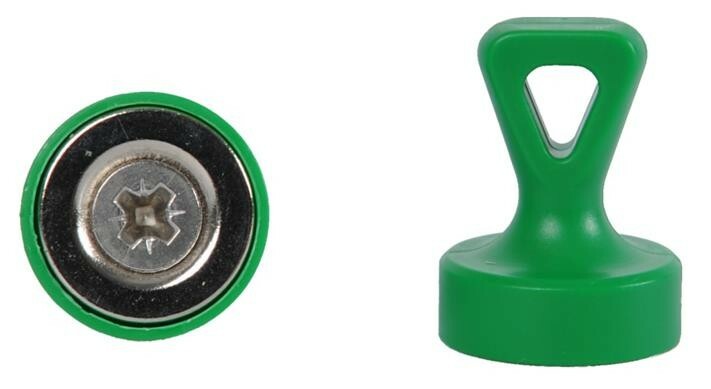 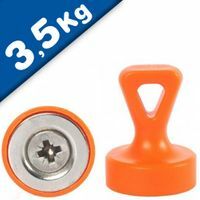 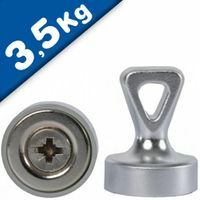 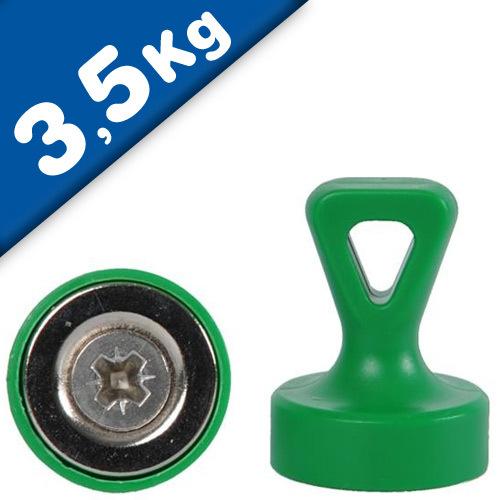 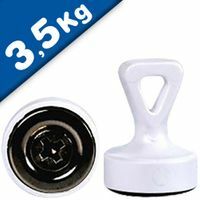 Particularly strong, plastic-covered magnet (Neodymium magnet with handle), size 17 mm x 22.5 mm. 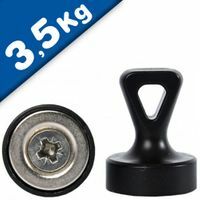 Compared to size and weight these high grip magnets have a amazing holding force. 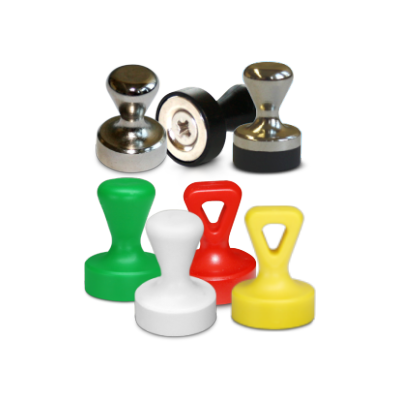 They are available with a solid knob or with a loop. 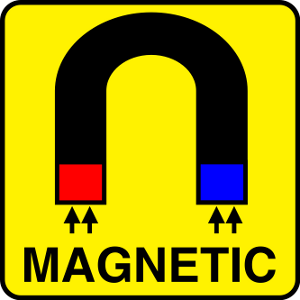 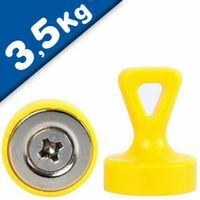 Our coloured grip magnets are suitable even for glass boards or walls of magnetic paint - each grip magnet has an amazing holding force of up 3,5 kg.